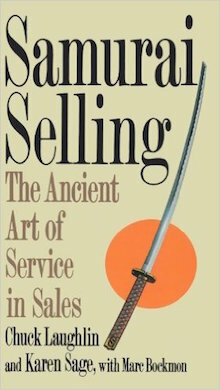 Samurai Selling is a unique guide for the modern salesperson. The code of the ancient Japanese samurai is grounded in service and personal character. Samurai Selling shows sales professionals how to apply the code of the samurai, so that whether you sell cars, real estate, office products, or personal home products, you have fresh and powerful techniques to win life-long customers. Samurai Selling tells stories of the ancient samurai and relates them to today's competitive sales climate. 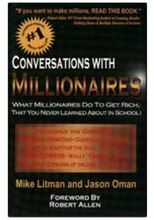 Based on a proven seminar which the authors have taught to thousands of managers and sales professionals, the book is filled with practical tips, examples, and exercises that will hone your selling skills and improve your customer service. Samurai Selling is a unique guide for the modern salesperson. The code of the ancient Japanese samurai is grounded in service and personal character. Samurai Selling shows sales professionals how to apply the code of the samurai, so that whether you sell cars, real estate, office products, or personal home products, you have fresh and powerful techniques to win life-long customers. Samurai Selling tells stories of the ancient samurai and relates them to today's competitive sales climate. 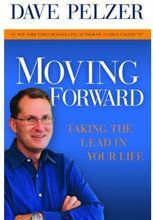 Based on a proven seminar which the authors have taught to thousands of managers and sales professionals, the book is filled with practical tips, examples, and exercises that will hone your selling skills and improve your customer service.